"I understand that I'm going to war. But I'm going to serve." 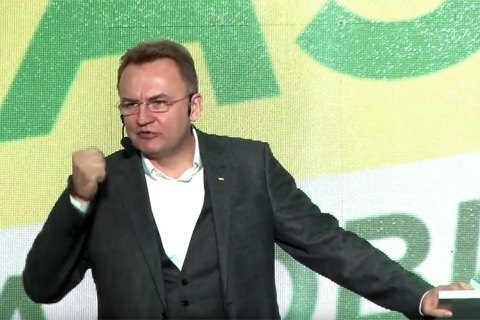 The Self-Help party has nominated its leader and Lviv mayor Andriy Sadovyy as candidate for president. "I understand that I'm going to war. But I'm going to serve. I love people, I love you, I'm ready to sacrifice my life because this is our Ukraine, there is no other. And there is no second chance. We must take the offensive and win. Right now. A deep bow. Thank you!" he said at the 17th congress of the party on 3 January. Democratic Alliance leader Vasyl Hatsko and Hlukhiv mayor Michel Tereshchenko supported his bid. Sadovyy has been the mayor of the western Ukrainian city of Lviv since 2006.